The last round of the Zurich Chess Challenge 2013 was played today. 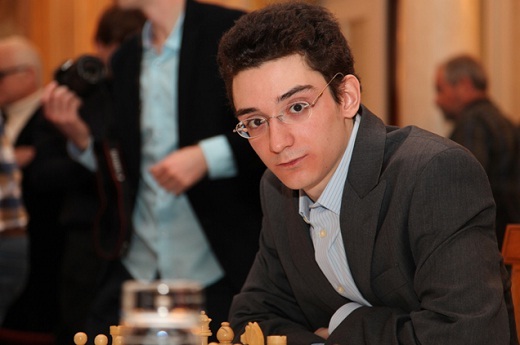 Fabiano Caruana claimed the clear first place after defeating Boris Gelfand with the white pieces in 58 moves. 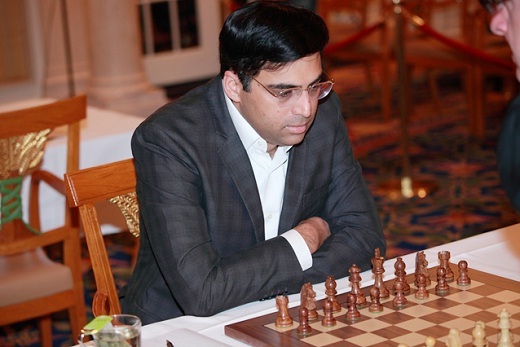 Viswanathan Anand beat Vladimir Kramnik to gain sole second place. Caruana finished a whole point ahead of Anand and 1.5 points ahead of Kramnik and Boris Gelfand. 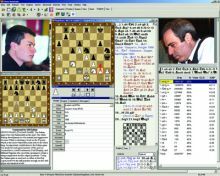 Fabiano Caruana used the Catalan against Boris Gelfand. The Italian gave up his bishop pair to get an extra pawn. Gelfand doubled his rooks on the c-file and faced a long defensive task. The Italian simplified to an endgame with 4 vs 3 pawns on the kingside. Gelfand was handling the defense correctly until he went for a pawn sacrifice to activate his pieces. 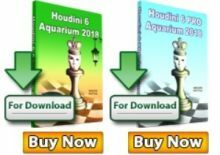 Caruana demonstrated that this idea was wrong and gained the full point at move 58. This tournament win is especially gratifying for Caruana, since he missed a big chance to win the GRENKE Classic a couple of weeks ago. Viswanathan Anand played with white against Vladimir Kramnik. The contenders of the 2008 World Chess Championship went into the Berlin variation of the Ruy Lopez. The Russian gave up his bishop pair to keep the passed pawn on d3. This was a double-edged decision – if the pawn survived, it would be pretty annoying for white, but it also could become a big weakness. 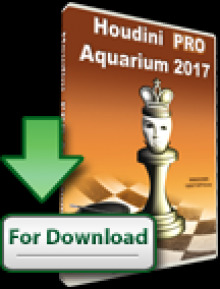 Kramnik went astray on move 21, when he decided not to exchange queens. They played six more moves, but it was clear that Anand had a winning advantage. Kramnik and Gelfand will play in the upcoming Candidates tournament, while Caruana might participate in the US Chess Championship.